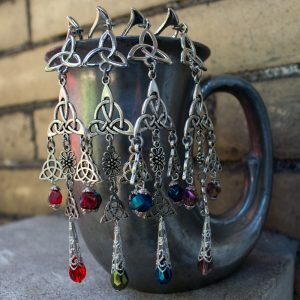 Do you like Celtic knots? Do you reealllly like Celtic knots? 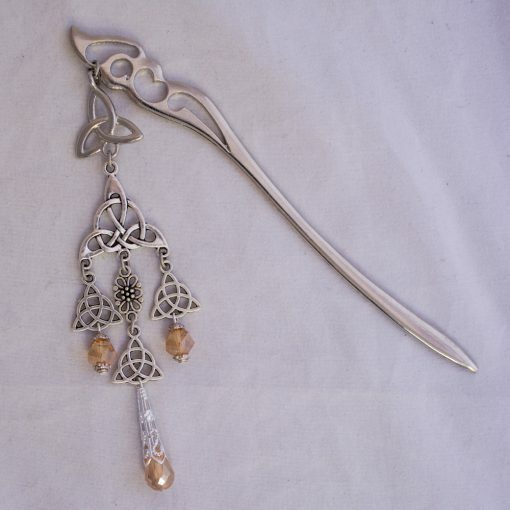 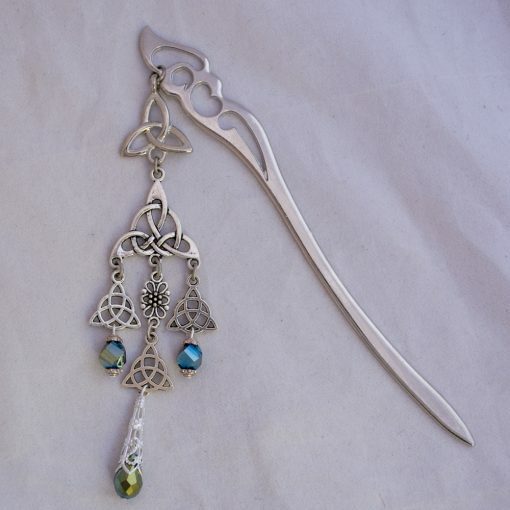 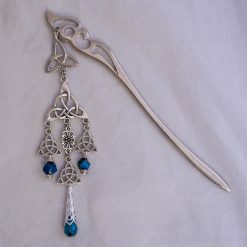 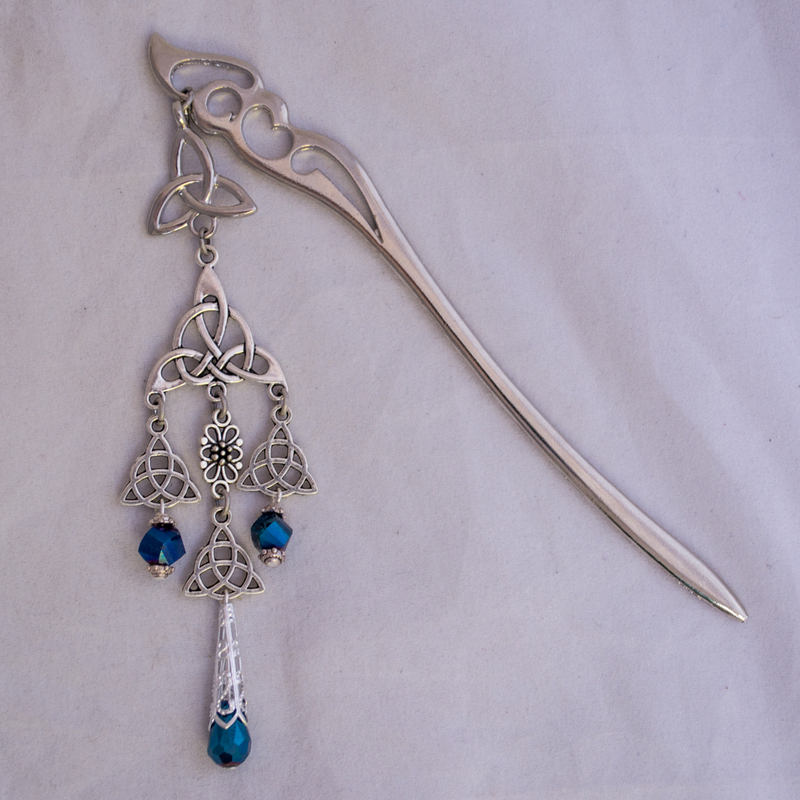 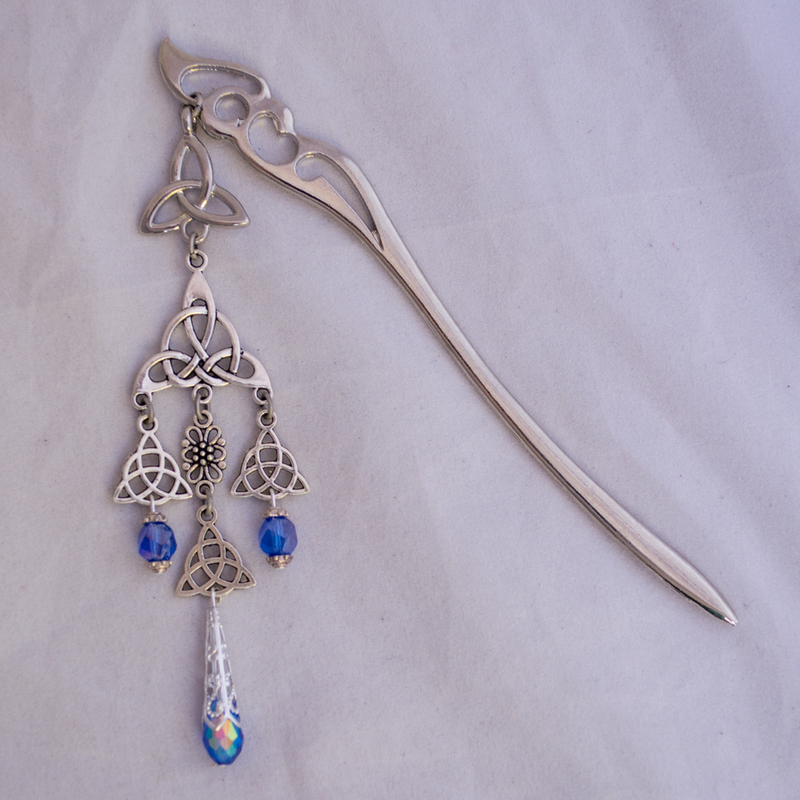 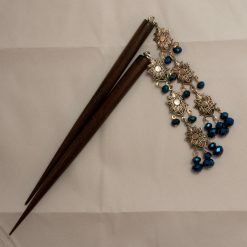 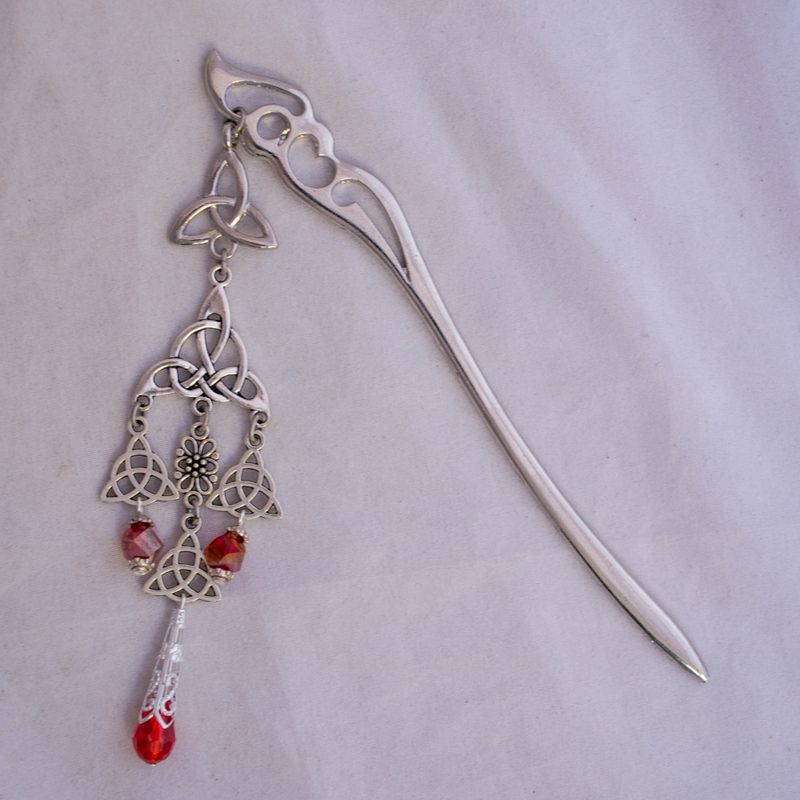 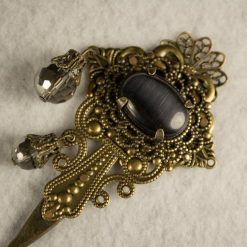 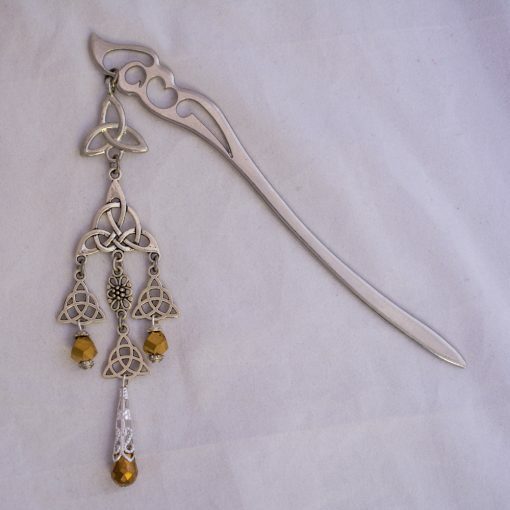 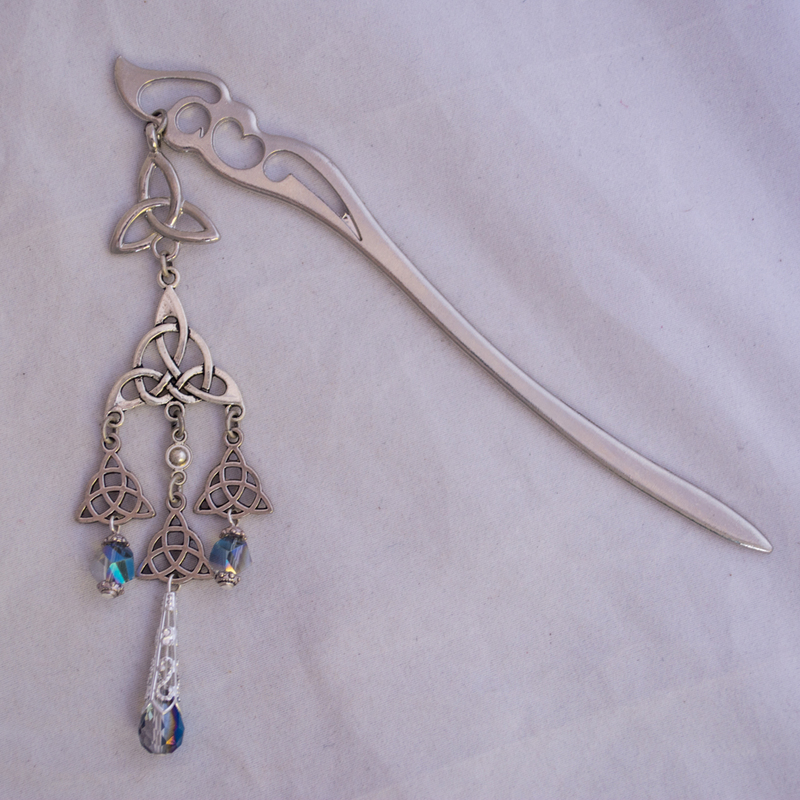 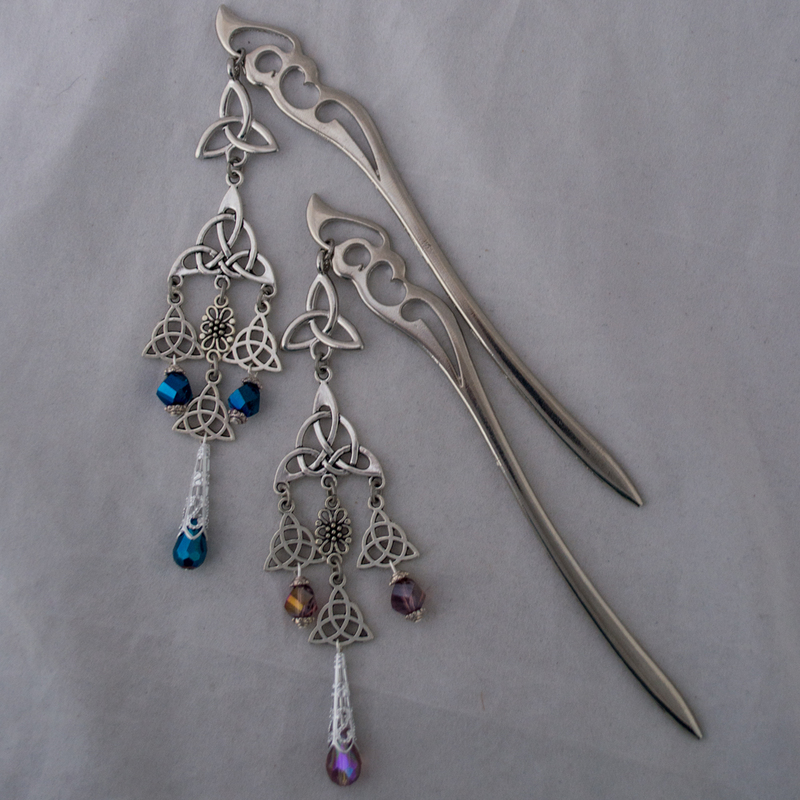 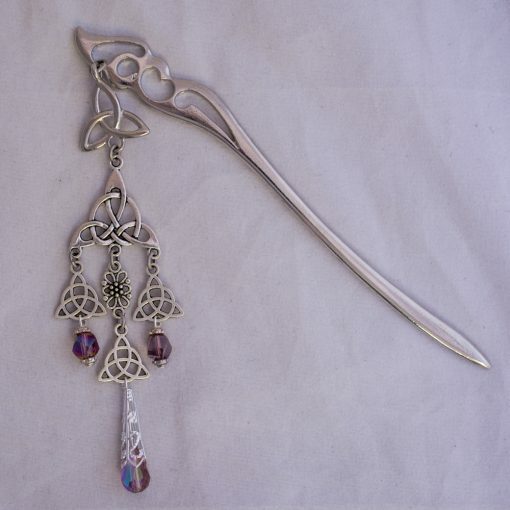 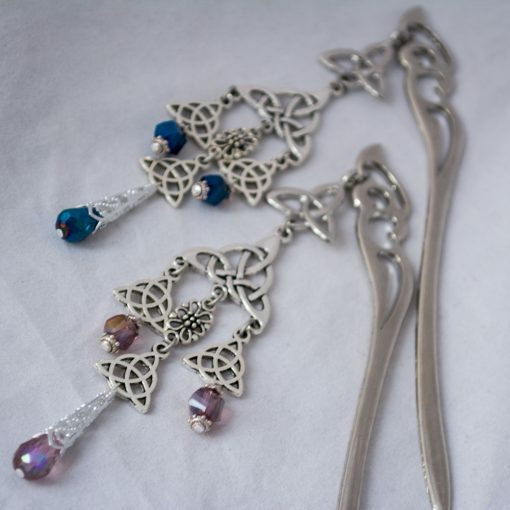 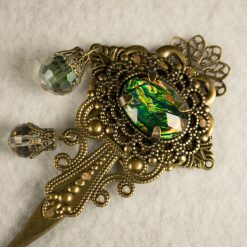 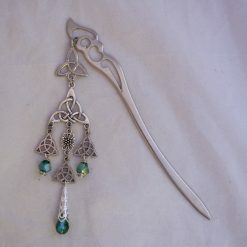 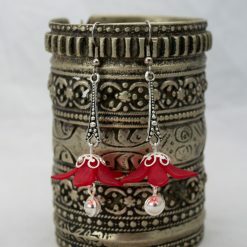 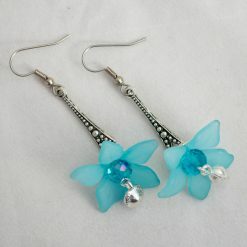 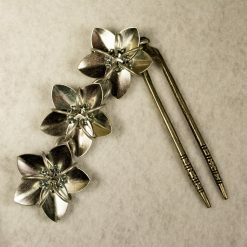 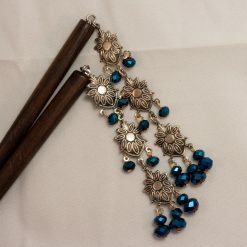 Then you’ll like these sturdy alloy hair sticks, with decorative dangles composed of faceted beads and silvery Celtic knots.